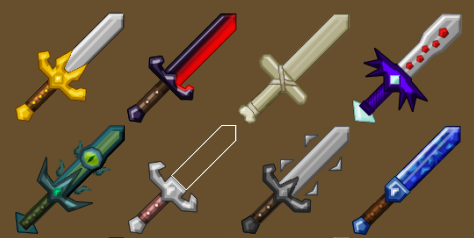 Very awesome mod called More Swords, she will decorate your game better, and make it much more diverse, and the game will be much more interesting. As I think you have already understood, this modification adds to your game great many of the latest swords, in contrast to the standard swords, craft this weapon will be very diverse. Also I would like to tell you about their features, each sword is unique, damage, strength, appearance and other qualities, I think everyone is good.